Peter Roe joined TechMarketView in July 2013 as Research Director for the FinanceServicesViews research stream and continues to share his expertise on the financial services tech sector with TechMarketView clients. 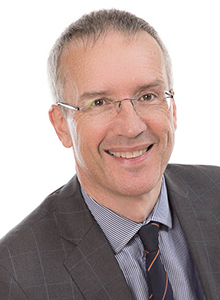 Peter has over 20 years’ experience in Financial Markets and more than 10 years in the IT and Telecoms Industry, working with major banks and brokers and then with BT. As founder of Ikura Consulting Limited, Peter was focused on helping IT and technology companies generate better returns in serving participants in the financial services industry, creating business models and partnership strategies and through in-depth market analysis. As Head of Strategy in BT Global Banking and Financial Markets, Peter was instrumental in building the Strategy in Cloud Services, as well as building Portfolio and M&A strategy for BT in the Financial Services sector. With a career that also includes roles as Head of Telecoms Research, Banque Paribas and Director of Equity Research, Nikko Securities, Peter brings unrivalled experience and knowledge of the Financial Services sector to the TechMarketView team. Peter has a 1st class BSc & BComm degree in Engineering Production and Economics from Birmingham University.